“Science is for everybody, and I love science communication because it makes that philosophy a reality by including people in the scientific process and sharing the results. I try to involve people in my research because I owe scicomm a lot. 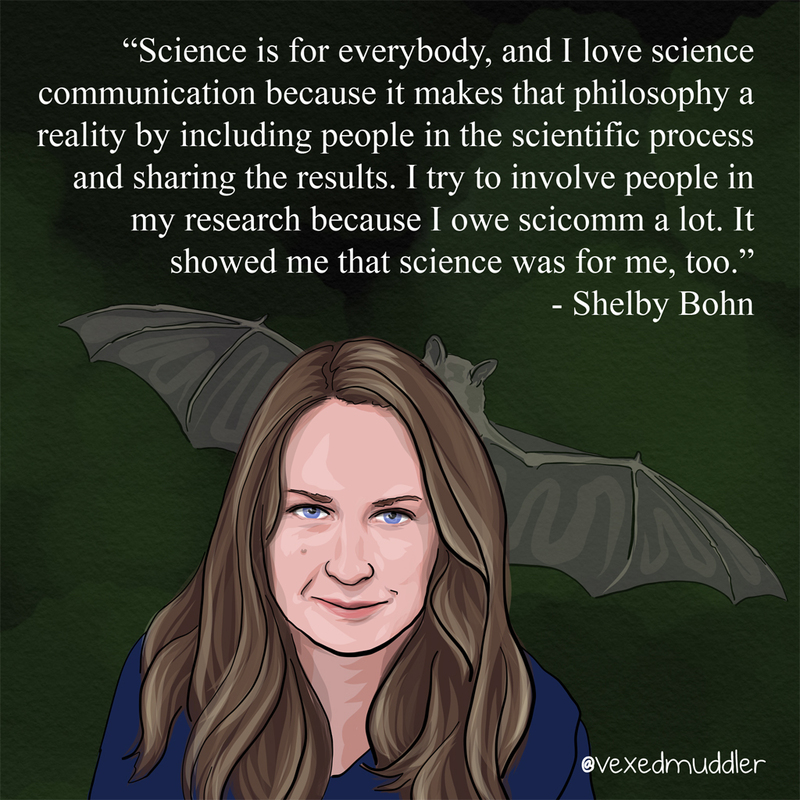 It showed me that science was for me, too.” – Shelby Bohn, graduate student studying bat ecology at the University of Regina. Originally posted on October 6, 2016.